Find me on Facebook? Google? Artistry and musical expression at the piano! 30-minute lessons are for students generally ages 5–7, Grades K–2. 45-minute lessons are for all students grade 3 and up. Julie is a gem! She takes an interest in each student as an individual. 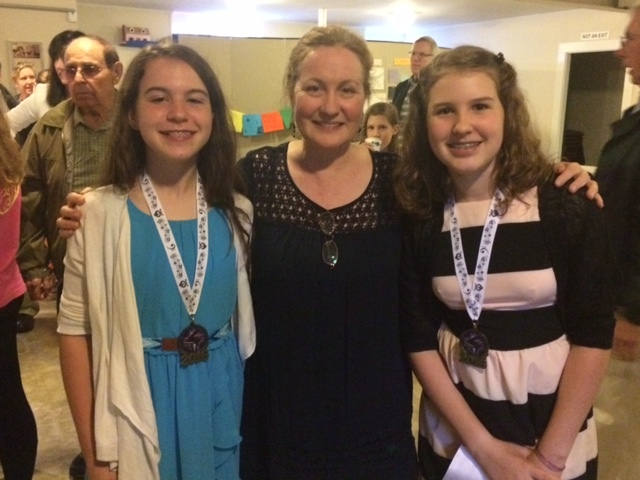 Recitals are ever a pleasure because each one of her students has a different style and approach to their love of music, which Julie continuously nurtures. Julie works to keep lessons engaging while balancing technique and theory with the joy of playing. Julie is a gift to her students. At each lesson I am always impressed with her warmth and dedication as well as her sincere desire to bring out the most in each of her students. I am thrilled that my daughter actually loves going to piano lessons, so unlike my experience when I was young (and everyone else I know of my generation). Miss Julie has a warm and gracious way with kids; she is sincere and kind and playful while also inspiring them to practice and do their best. 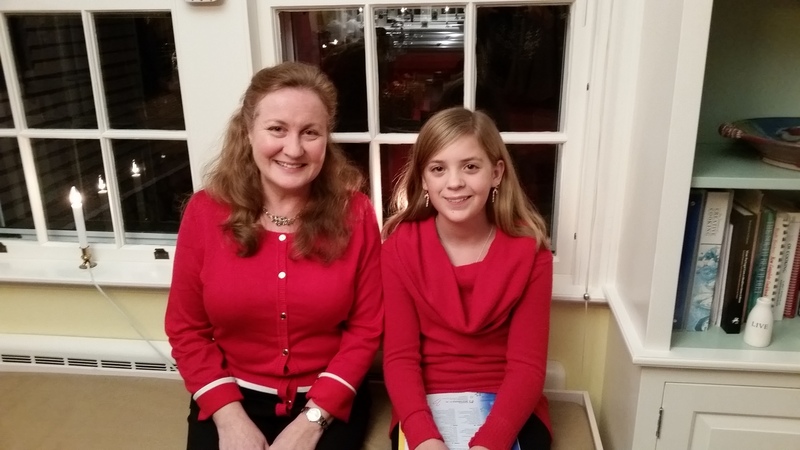 Because of Julie Cleveland, my daughter loves to play the piano and is flourishing! After I have a piano lesson, I can focus more at home when I practice. Miss Julie’s lessons are so much fun. She is a great teacher and I love the way she teaches stuff. I like taking lessons with Miss Julie because she knows what kind of music I like to play. She also helps me play impossible notes! The party after a recent recital. I believe students are best served by charting out a long-range course of study. When you sign up for my program, think of it as going to a music school. I teach a “whole-music” education – it’s not just a weekly lesson at the piano learning repertoire and popular songs (I teach both!). All young students who study with me gain a foundation in music fundamentals as well as piano-playing skills: that is, theory, sight-reading and ear training skills, and improvisation and composition skills. 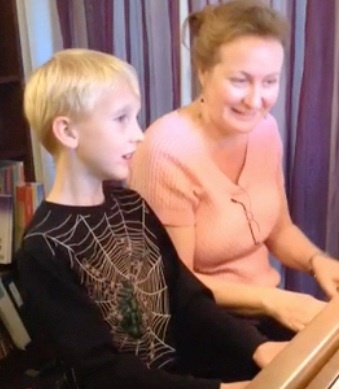 Although I do stress a solid foundation of repertoire at the piano, even with beginning students, I let them explore their own musical interests. I’m completely open – I encourage it – to students bringing in their own songs that they want to learn. If they’re too hard for their level, I’ll let them know! 😉 and often convert the song into a lead sheet (melody with chords) at their level so they can play it. Right from the start, I foster and encourage students’ own explorations at the piano, in any form that may take, through helping them out with learning songs from YouTube, sometimes solely by ear, and learning how to improvise freestyle at the piano. The bottom line, truly, is that students enjoy themselves – even though it’s hard work to learn an instrument – and in gaining more self-confidence and self-esteem by playing the piano, in their playing, thus in all areas of their lives, while always moving forward in their music studies. So how much time needs to be set aside for practice? The general rule is the length of the lesson. For example, a 45-minute lesson requires, eventually, 45 minutes of daily practice, 5 days a week minimum, for real progress and success at the piano. Most students work their way up gradually, some jump right in. Is this possible? Kids today participate in sports and other activities, so it may seem impossible, but it’s not. Just as you write other activities in the calendar, write in when your child will practice, too. It’s harder to do piano practice because you’re not leaving the house to go and do it with other friends! And there are so many temptations and distractions at home. But once your child is at the piano, she’ll enjoy it, after griping and “How many more minutes? ?” I recommend too that practice sessions can be split up into smaller sessions. That’s what I do when I practice! Children can try practicing just a few minutes in the morning before school. Then a few more minutes right after school. Then maybe just before dinner, or after, and before you know it, your child has practiced 30 or 40 minutes. In one day. Every time they walk by the piano, they can sit down and practice one song! If 45 minutes just isn’t manageable, a minimum amount of practice for all students is 30 minutes a day, 5 days a week. Remember, if there’s not enough practice, students soon lose interest and give up, as they are not accomplishing anything, or their progress is too slow. All this said, daily practice in any amount during an especially hectic week is better than no practice at all; sometimes we all are just too busy. So when considering signing up your child for piano lessons, remember, it’s not just a weekly lesson, but a daily commitment to practice, too. I am firm on practicing because I know the result will be success and happiness! Visit my Resources page too for links to articles about ways to help your child practice and visit my blog post archives for articles, links, info on practicing. These practice goals achieve the result of your child being able to play the piano, and playing a musical instrument gives children a great sense of accomplishment. It raises their self-esteem and self-confidence, as well as developing many other skills, such as self-discipline and problem-solving skills, which improve their academic skills in school. What You Get for Your Tuition Dollars . . .
A teacher who actively encourages students to perform, if they want to, for friends and family, at piano parties, or in more formal (yet supportive and fun!) recitals, and other venues, such as retirement communities, local charity benefits, etc. And a teacher who is kind, caring, enthusiastic, encouraging, creative, positive, and fun! At the annual Holiday party. One of my students performing a beautiful piece by William Gillock at the Shalin Liu Piano Recitals. A terrific article on how to choose a piano teacher for your child: Choosing a Music Teacher (MTNA website). 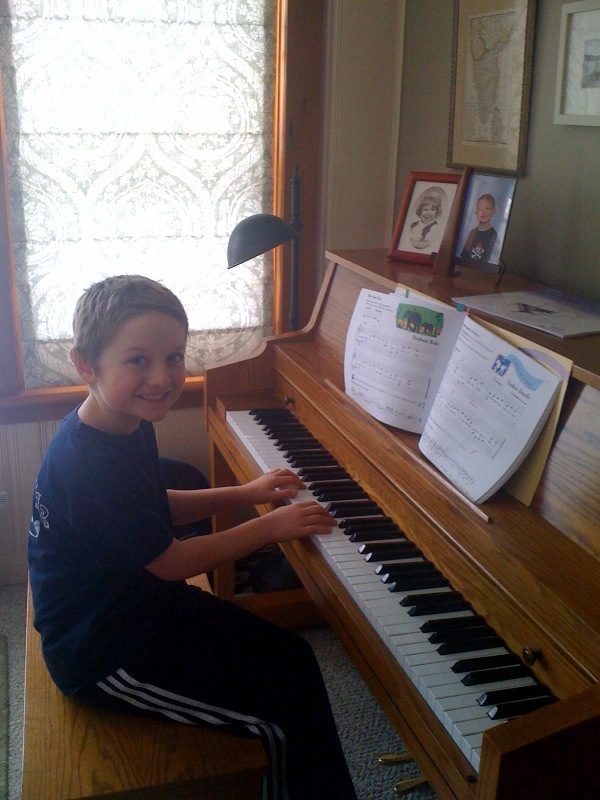 Another great article on music lessons/choosing the right teacher: The Truth About Piano Lessons. Please visit my Contact page for more information. Visit my FAQs and Resources pages for more info!